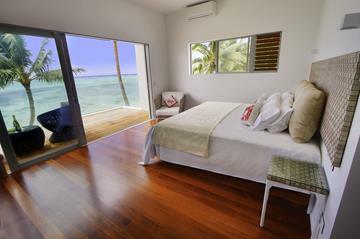 Opening in Muri area, Rarotonga, on the 15th of January 2015 is this beautiful new property. 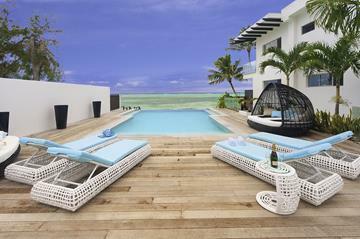 Crystal Blue Lagoon Luxury Villas have four x 2 bedroom villa apartments of a high standard, all white inside and very modern. This gorgeous property is perfect for a group of friends or a couple looking for something luxurious. There is a shared horizon pool. It is located very close by the Muri restaurants & shops.